Forest Security, Inc. is the clear choice of many customers throughout the Greater Chicago Metropolitan Area who are in the market for residential security. We have been noted as delivering the best home security systems for well over three decades to regional customers. As a family-owned and operated company, Forest Security not only stands behind our home security systems and products, we guarantee your satisfaction. We are also are celebrated for delivering superior customer service. Our loyal clients are well aware that we have always placed customer satisfaction at the top of our priority list. Few of our competitors understand like we do the extent of security risks our clients and their families face. This is the reason Forest Security is capable of tailoring its security systems for its clientele at the most economical prices. Furthermore, in addition to our outstanding customer services, we also provide the peace-of-mind to which our customers are entitled. On the occasion our Alsip neighbors are searching for the most efficient and affordable wireless security systems, the only name they need to know is Forest Security. 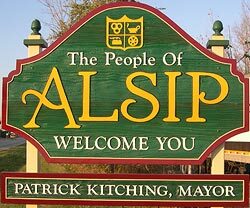 Alsip has over 19,000 residents and is in Cook County. Forest Security is conveniently located just 24 miles directly north of Alsip. In fact, our Alsip residents who have us install one of our wireless home security systems, are 15 times less likely to be burglarized. Forest Security also delivers Alsip families a vast array of options so they’re guaranteed of receiving the perfect security systems to coincide with their lifestyles and their expense accounts. Moreover, our technicians are acknowledged as having the background and know-how to help Alsip residents with the best home security systems for them and their families. Plus, we will make sure that the home security systems we install fit the specification of our Alsip perfectly! You can depend upon Forest Security to not only meet your expectations, but to regularly exceed them. With our 24/7 response to alarms, our technicians provide the incredible customer service you’d expect of a company of our caliber. Before ever stepping foot into your home, our technicians will have had at least five years of field training. Consequently, if you are out-of-town or out of the country, or sleeping peacefully in your bed at home, you can relax in the knowledge that Forest Security will be on guard, so you don’t have to be! Moreover, you will soon discover that none of our competitors offer the level of professional installation, technological updates, smart-phone compatibility and extraordinary customer support that we do. Isn’t it time to give Forest Security, Inc. a call at: (708) 452-2000 for a FREE, no obligation consultation and price quote?